Why Replace a Legacy Job Scheduler? Legacy job schedulers were designed to support specific platforms and systems, mainframes and homogeneous IT stacks. Because of this, older job schedulers have limited capabilities and cannot easily integrate with new digital tools and technologies. Today’s IT environments, however, are distributed, diverse, and dynamic. So that relying on a legacy scheduler is a bit like driving a sports car without power-steering. Sure, you can still drive, but you aren’t going to move very fast. These capabilities are critical to the modernization of IT systems.Furthermore, legacy schedulers are often dependent on scripts. This means that, whenever a process changes, or a new dependency needs to be managed, IT must spend time updating scripts; or, if a new digital tool is being introduced, IT must spend hours researching, writing, and testing complex, custom scripts. Scripts are error-prone, time-consuming, and resource intensive, requiring high-level IT personnel dedicate hours that should be spent on critical projects that are of higher value to the organization. This places additional pressure on IT personnel who are already strained by the IT Resources Gap. 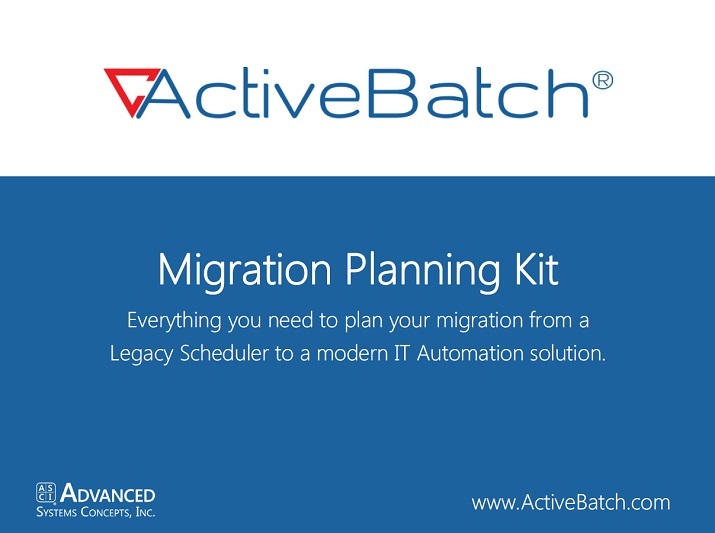 Migrating from a legacy scheduler doesn’t have to be daunting. With the right migration strategy, IT can ensure a low-risk move to an IT Automation and job scheduling solution that provides the tools and capabilities IT needs to develop scalable, integrative environments that keep pace with dynamic business demands. Methods for migrating can vary depending on the organization’s needs, but generally, if a mid- to large-sized organization has more than a couple of hundred jobs to migrate, an automated migration tool is used. A modern IT Automation solution will likely include an automated migration tool. Depending on the legacy scheduler that is currently in place, the migration process can vary slightly. Usually, migrating the legacy scheduler’s applications to the new solution can be carried out through a command-line program. This will output an .xml file that can be imported into the new automation solution for IT. Automated migration provides a secure, proven method of moving to a new automation software while keeping your existing data intact. This allows IT to minimize the risk of manual errors and of losing critical workflows. 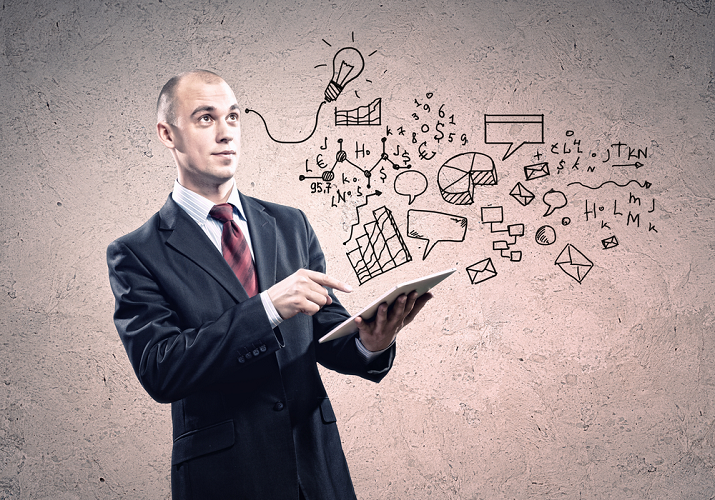 IT should also take advantage of the technical expertise offered through the job scheduler provider. Having assistance from experienced, professional services personnel will provide an extra layer of security and save time and expenses, allowing IT to reach ROI faster. A new job scheduler will likely provide additional capabilities that the legacy job scheduler lacks. This means that by moving to a new job scheduler, IT has the opportunity to design a cohesive automation strategy that consolidates and coordinates a variety of IT tools. For example, instead of migrating complex workflows with a high failure rate into a new scheduler, IT should take the opportunity to redesign these workflows using the features and integrations offered by the new IT Automation scheduler. This will allow IT to design simpler, more powerful workflows. Whether or not an IT team decides to start an automation strategy from scratch, redesigning workflows should be a part of every scheduler migration. By developing new workflows that leverage the capabilities of the new scheduler, IT can meet more SLAs and increase their rate of successful, on-time job completions. 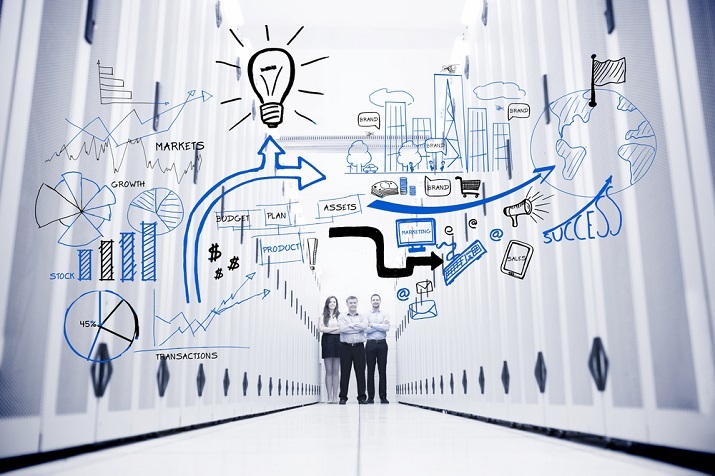 Developing a new IT Automation strategy works well for smaller IT teams with fewer workflows to manage; however, larger organizations are not hard-pressed to find resources to commit to building out a new, holistic automation strategy. How Long to Migrate to a New Job Scheduler? IT should always map the dependencies between workflows and prioritize what should be moved first. This will help IT identify how many workflows, jobs, and objects need to be migrated, allowing IT to estimate how long the migration will take. Ideally, an organization should contact an IT Automation provider at least six months in advance so that there is sufficient time for product training, installation, migration, and then testing and configuration of the new IT Automation solution. Check out, “Best Practices for Migrating to a New Job Scheduler” for further tips and strategies that help optimize your job scheduler migration.